When team owner Michael Filipidis was growing up playing and then coaching soccer for his local team Apollon Volada on the small island of Karpathos in Greece, he may have only fantasized of one day owning and operating a franchise of his own. Thanks to the efforts of Peter Wilt, Club 9 Sports, and the hopefully-soon-to-be sanctioned league of the National Independent Soccer Association (NISA), he will see his dream come true in the spring of 2018. “My vision for Charlotte FC is to give our community the opportunity to feel included within our city and team. A fan base that is diverse and proudly encourages and supports Charlotte FC to provide an atmosphere full of energy, passion, and excitement for all ages. What is unusual about Michael’s path to ownership is that he is not a multi-millionaire. He is not an aging real estate mogul or late blooming middle aged entrepreneur from a tech company background. 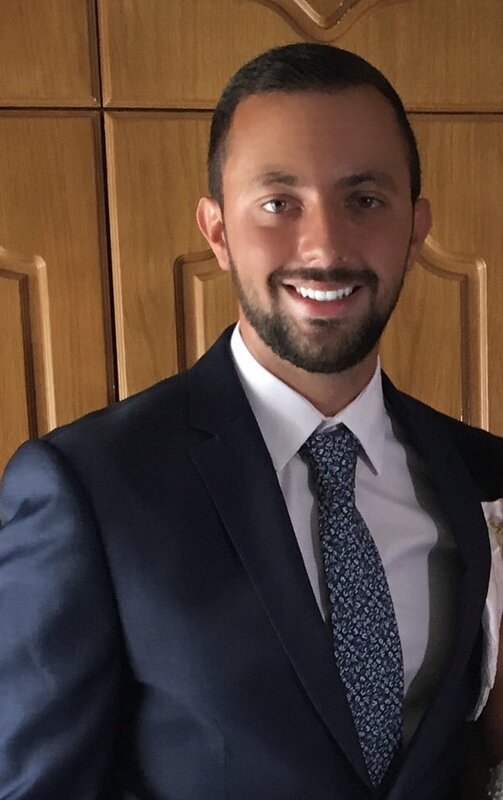 What he is, though, is passionate about soccer and ambitious to bring something different to Charlotte, NC, despite the fact that he will be facing established competition. There is already a professional USL soccer team playing in Charlotte, NC – The Independence. Despite consistently showing financial losses of $2.2 million per year, the team has invested wisely in its players and coaches, yielding a squad that is currently sitting atop the USL Eastern Conference table at 44 points, with 12 wins, 4 losses, and 8 draws out of 24 matches. Unfortunately, they also have the worst attendance numbers of any of the independent USL teams, at just over 1,600 a match for the 2017 season. On the bright side, that is a major improvement from just under 1400 last year. They have struggled to find a suitable home in the 3 years of existence, moving from UNC Charlotte (TransAmerica Field – 4,000 capacity), Winthrop University (Eagle Field – 1,800 capacity), before finally calling the Sportsplex at Mathews home (2,300 capacity). The USSF Division 2 standards for men’s soccer require a venue with no less than a 5,000 person seating capacity, meaning that the team is currently operating with a waiver. There is no affiliation between the USL team, and the expansion NISA franchise. So why move into an established market, with a lower division team? The answer is that Filipidis wanted to bring something different to the soccer landscape – community and fan ownership. With the creation of the non-profit Charlotte FC Supporter’s Trust, fans of the franchise can own a part of the team. Not just part of the team, but a significant portion of the team. Using Club 9’s private investors, Charlotte FC will meet the 35% ownership criteria of $10 million dollars, but a substantial percentage (the specific amount is estimated to be between 10% and 15%) will belong to the Supporter’s Trust. While this is both ground-breaking and revolutionary in the realm of American soccer, it is not unusual worldwide. As highlighted in Peter Wilt’s Manifesto on Promotion and Relegation, teams in Germany’s Bundesliga must divest 51% of their ownership to the fans. There are currently 110 supporter’s trusts in England. This would be the first – but definitely not the last – in the United States. Another project of Club 9 Sports, the Chicago NASL franchise will also feature a supporter’s trust, and hopes to debut in 2019 playing a higher division, the NASL. If successful, this model could create a groundswell movement of fan ownership within both the NASL and NISA, leading to the possible resurrection of legacy clubs such as Rayo OKC, the Ft. Lauderdale Strikers, or the Atlanta Silverbacks. Competing leagues such as MLS, USL and the upcoming USLD3 do not permit this kind of fan ownership. The first actions of the newly founded Supporter’s Trust will be to give the team an identity. Filipidis intends to let the fans – the other owners – complete autonomy in picking everything from the uniforms, to the colors, to the logo. Teams like Minnesota United had to have fans fight to retain an existing identity, but this ground floor opportunity asks people who will be making not just a financial investment, but an emotional one as well, to weigh in. Soccer is rife with platitudes to the fans about their level of involvement, but in the case of the newly founded Charlotte FC, it’s asking investors to put their mouths where their money will be. However, ambitions for soccer in Charlotte are not limited to the lower divisions. Marcus Smith, president and CEO of Speedway Motorsports Inc. and executive chairman of Sonic Automotive which owns 106 car dealerships in 13 states, is spearheading the MLS4CLT endeavor. Yet the ownership group’s ambitions for an MLS franchise have recently hit some major snags, and appears to be falling apart. One of the major issues revolves around a potential stadium site. Despite being the son and heir of O. Bruton Smith, whose net worth is well over $1 billion dollars, Marcus and the MLS4CLT group is asking Mecklenburg County and the Charlotte City Council to spend $43.75 million to demolish the 83 year old American Legion Memorial Stadium and neighboring Grady Cole Center, and replace it with a $175 million dollar soccer specific stadium – at complete taxpayers expense. On August 2nd of this year, the city council met and declined to invest in the project. 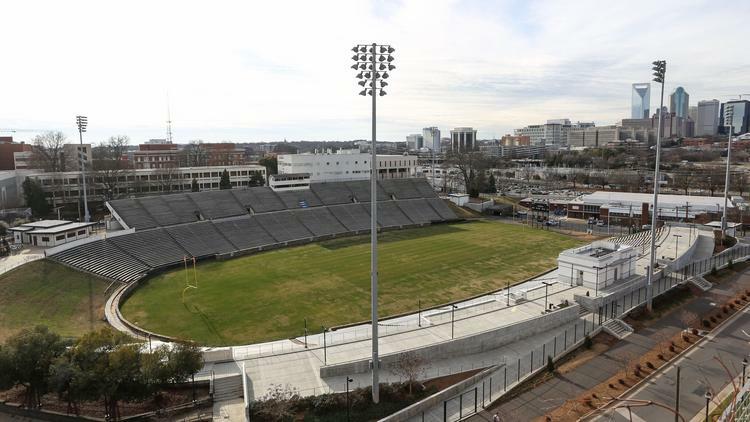 The budget item earmark for both the demolition of Memorial Stadium and construction of a new stadium, was removed from the capital budget of Mecklenburg County in early June, leaving the fate of the publicly owned venue wide open. And that’s where Charlotte FC will call their home. The 17,000 seat venue was constructed in 1934 as part of the depression era Works Progress Administration, and opened in 1936, the venue named after the fallen soldiers of World War I has hosted everything from high school football games and band competitions, to military college football games, and is currently home to a professional lacrosse team – the Charlotte Hounds. It is owned and operated by Mecklenburg Parks and Recreation, featuring natural grass, a press box, and thankfully, no running track around the interior. Despite enticing options for a modular stadium like the one being slated for the San Diego NASL franchise, Charlotte FC has no ambitions to move from their chosen venue. Openly, Filipidis speaks of working with Parks and Rec to renovate the stadium to make it more suitable for professional soccer. While it is not their stated goal, there are hopes to emulate the efforts of Detroit City and their unique approach to civic renovation of Keyworth Stadium. The conventional thinking is that if this truly going to be a franchise that belongs to the city and its fans, then the opportunity to renovate their home would be a welcome exercise in community outreach and investment. With that being said, American Legion Memorial Stadium is a plug and play operation for Charlotte FC, meaning players and fans alike will be able to walk through the gates starting in 2018. Editors Note / Correction: The original assertion that the Charlotte FC’s supporters trust is unique in the US, is not accurate. The Sounders Community Trust, established in 2014, is an active owner of 20% of the Seattle Sounders2 USL team. MLS Expansion Opinion: Rowdies Next Step? I am 100% for this on every level. My only concern is that I was under the impression that this stadium was too narrow for a soccer field, even compared to the narrowest permissible 70 yd. Size similar to NYCFC and various Caribbean cricket grounds. Do you have any knowledge of this?